We provide complete multi-discipline engineering and design/drafting support to private, industrial, and government clients. Our specialties include remote tooling design, hoisting and rigging support, and 3-D modeling of processes and components. Our PMP Certified project managers provide complete start to finish support for your project. We utilize Primavera P6 and Microsoft Projects for scheduling and planning of projects, as well as earned value management and cost controls. InTomes provides both traditional 2D as well as 3D drafting and design services to our clients. We use the latest software to provide accurate and professional drawings. Our drafting services can be either be provided in our office, or right at the clients facility. Since inception, InTomes has provided staff augmentation to its clients in drafting, engineering and decontamination & decomissioning field support. We provide the correct employee for each client, and do not just match a resume. As an SBA Small Business, we are registered in SAM, and provide drafting, engineering and project management support to government contractors and subcontractors. 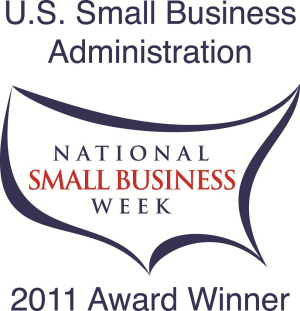 In 2011, we were awarded the SBA Subcontractor of the year. InTomes has been contracted to supply Rad Tech's to the BMRC project. As an SBA Small Business, our primary goal is to work with our clients to enable them to operate more efficiently. We provide engineering, drafting, project management and technical support services to all types of clients. Our experienced staff offers personalized services that meet the unique needs of each of our clients and we believe that trust and confidentiality are of the utmost importance. InTomes provides staff augmentation to help engineering companies, manufacturing facilities, environmental services companies and governmental clients to "bridge the gap between their needs and their resources". InTomes also provides a high level of drafting, project management, and engineering support in house to multiple clients who need our expertise on specific projects and tasks.